Welcome to our practice! I love to find ways to help people smile and that includes building confidence to share their smile! I am happy to answer your questions, plan for appointments, help resolve concerns, and make your visits positive. It is important to me that each of you enjoy a feeling of ease and confidence in our office. I love working for Murphy Family Dentistry. I appreciate how positive the environment is here. We all work extremely well together to provide the best service for you. Our staff is very warm and inviting. I love the positive energy felt by everyone and I really appreciate the attentive care our doctors and team strive to provide, both as individuals and collectively, to each patient. I have two children, one in high school, and one at TCU – GO FROGS! I also have four fur babies. I love doing all things outdoorsy with my family and dogs in my free time. If you catch me with a moment alone, you might find me sewing, cooking, or just catching up on my Netflix shows. 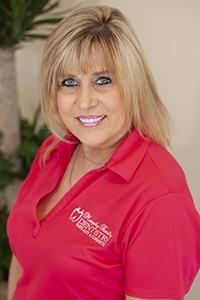 Cindi has been with us for more than 18 years and has been a dental hygienist for over 11 years. Cindi has the expertise needed to help our patients create healthier, more beautiful smiles. 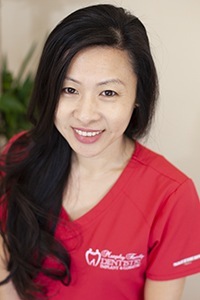 Prior to becoming a hygienist, she studied at UTD and Baylor College of Dentistry. Cindi and her husband have been married for 12 years, and together they have three children. Away from the office, she loves trying new things and being adventurous. 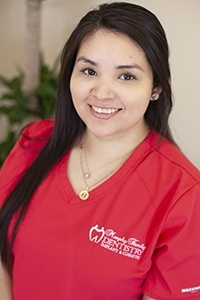 Paula joined our office as a dental assistant in 2015. What she loves most about her job is seeing patients leave every day with a smile on their face. She previously studied at ATI Career Training Center. In her spare time, she enjoys shopping, watching movies, and spending time with her dogs and her family. 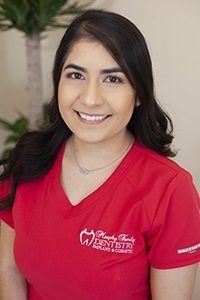 Ashley joined Murphy Family Dentistry in 2009. Before that, she studied at UTD. She enjoys the friendly environment provided by the staff and the doctors and becoming a part of our patients’ reason to smile brightly. Outside the office, she spends time with family, reading, cooking, and crafting. 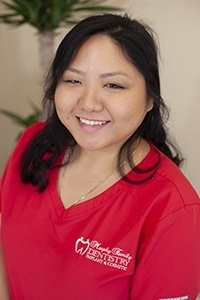 Liz joined Murphy Family Dentistry in 2016 and has been in the dental field for 3 years. She graduated from Carrington College. What she enjoys most about her work is seeing patients smile. In her spare time, she likes to go out to eat and loves shopping. 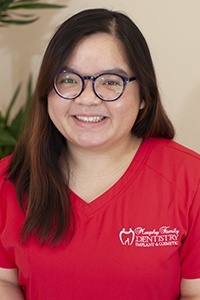 Diem joined our office as a Dental Assistant in January of 2018. She currently attends Collin College and plans to pursue a career in dentistry. Diem adores bringing joy to patients by providing quality services. In her downtime, she enjoys hanging out with friends, family and playing with her dogs.